We launched our new layout earlier in 2017, but we are continuing to add more features and little tweaks. The first two updates are now live! The first change we made is adding video to our site. Visitors are now greeted with a video highlighting DeKalb County when they click on to the home page. 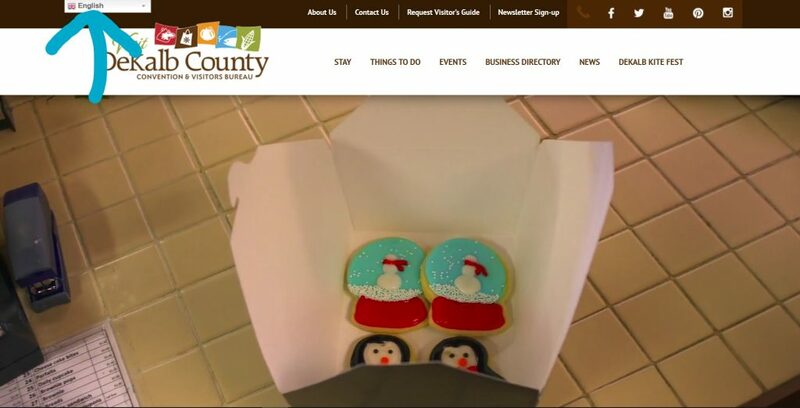 We are currently featuring our Holiday Happenings video that shows some of the holiday traditions happening across DeKalb County. We will be changing out the video seasonally, so you’ll always be greeted with a video to get you excited to explore. The second update went live last night. 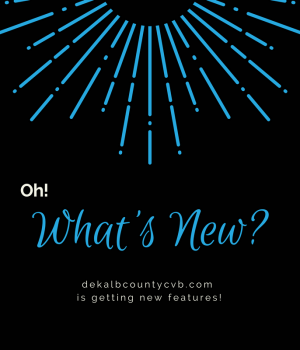 Visitors can now translate dekalbcountycvb.com into more than 20 languages using the drop-down in the upper left-hand corner. (picture below) This drop-down is available on every page of the site. This new feature should also allow for auto-translate when visitors have their browser set to a language other than English.